Written in three parts, and as a sequel to Seven Seas, Nine Lives, Richard Pike continues the remarkable experiences of Captain AWF ‘Alfie’ Sutton CBE DSC and bar RN. During events which come as close to fiction as is imaginable, the first part describes how Alfie, badly injured and close to death during the bombing of HMS Illustrious by the Luftwaffe in January 1941, wakes to find himself laid out amongst the dead, but miraculously still able to help the ship on to Malta. After full recovery, part two starts with his involvement in the Allied campaign in Greece in the spring of 1941, leading to him eventually evacuating the Greek royal family in a flying boat. After numerous escapades he fights with the defenders during the German invasion of Crete in 1941. 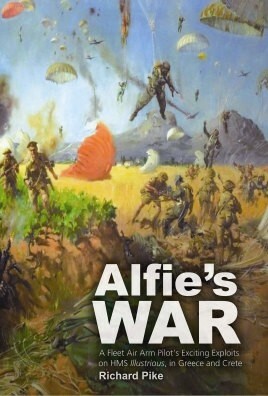 Admiral Cunningham was later to describe Sutton’s efforts as “an example of grand personal courage under the worst possible conditions which stands out brightly in the gloom.” It was a struggle doomed to failure, but Alfie survived to continue his war and tell his story to author Richard Pike who relates it here with passion, pace and drama.